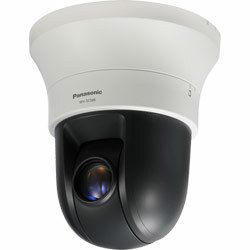 The WV-SC588 network PTZ dome provides FULL HD quality images and a wealth of features. 90 x extra optical zoom in 640×360 resolution mode. Fog and Sandstorm compensation and advantaged auto tracking always ensures a perfect image. 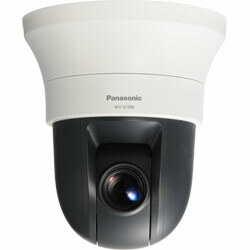 Using a newly developed MOS sensor, the SC588 provides 1080p FULL HD images across multiple H.264 and JPEG streams. 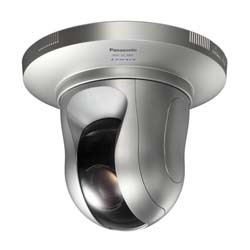 Using MEGA Super Dynamic technology to deliver 128x dynamic range, the true day/night image quality of the SC588 is ideal in all conditions. 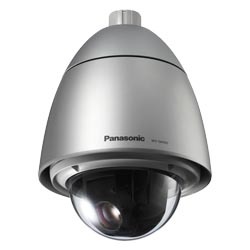 Packed with features, the SC588 is the most intelligent camera to date. The optional face detection fetaure allows the camera to adjust product focus to capture a person in shot and also use the XML data to trigger an alarm upon detection if using a compatible recorder. VIQS (variable image quality on specified area) is the latest innovation to the Smart HD range, allowing the camera to have higher resolution only on specified areas of the image, meaning lower bandwidth. 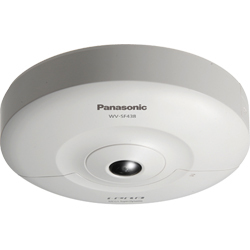 The WV-SC588 provides all the latest Smart HD innovations ensuring is fit for all indoor needs. Windows® 8 or Microsoft® Windows® 7 or Microsoft® Windows Vista®. ³ When using IPv6 for communication, use Microsoft® Windows® 8 or Microsoft® Windows® 7 or Microsoft® Windows Vista®. &sup4; Transmission for 2 streams can be individually set in the same compression method.